The Jax Bridges Finale Countdown Is On! 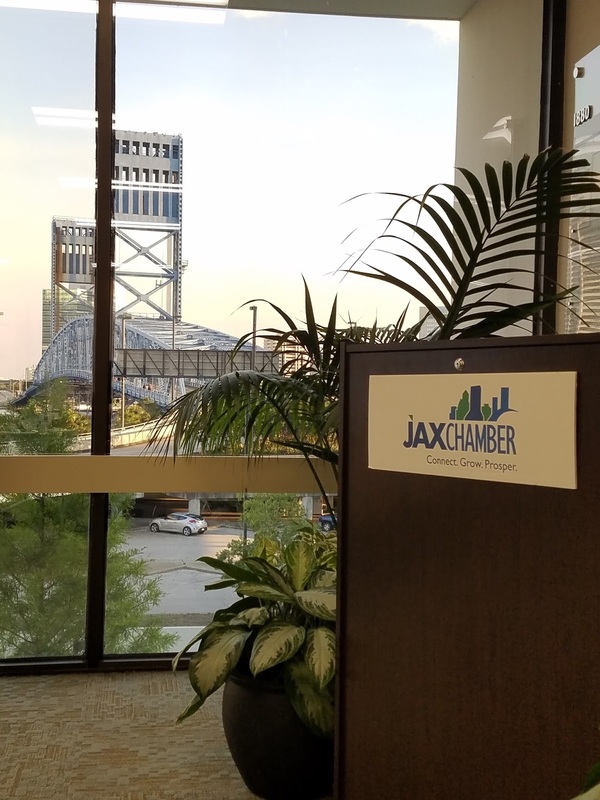 So hubby and I have been in this amazing program for the last 3 months from the Jax Chamber called Jax Bridges. The goal of the program is to help entrepreneurs and small businesses with building their business model while connecting them to money and resources. To say we are excited may be an understatement. This program has brought so much organization to the process. We are able to articulate what we do, how we do it and what we can do for you specifically. We have gained an amazing amount of information, connections and so much more. We have a 2 meetings in the next week, then Tuesday, May 15 we go before a group of company owners, CEO's, etc. and pitch our business to them in the Bridge 2 Business Event. Is it weird that I am not nervous? Like at all? I am sure I will probably get a little nervous the day before but for right now I think excitement is in control which works for me!. I feel like we have built something pretty awesome and unique that will appeal to many people. We are re-branding our joint pages so everything that has been listed as The Sway Show will be re-branded VERY soon. As always we have the AMAZING Jihan Grant AKA: EnerJi of DigitalMiss Designs working up a brand new logo as well! The program is something that is very detailed and I know they do not want a lot of information circulating online from within the program so I have been VERY limited with how much I share. Just know this has been a FREE program, we have met once a week every week for 3 months and the information we have been given is invaluable. Really. People pay GOOD money for this and they are HELPING people because it helps the city. Amazing isn't it? Stay tuned guys, your support has meant the world and with it we can show that we are influensers in our community which helps us open doors not only for us, but our community and beyond. Also if you are a business looking to benefit from future Jax Bridges programs please list your email on this blog so I can send you the link and info.